Direct torque control and vector control are modern ways of controlling AC machines that allow an electric drive to achieve a very fast response. 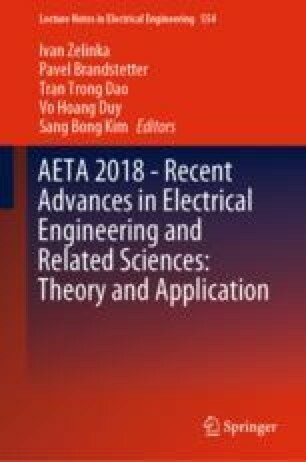 This paper deals with the method of direct torque control of an induction motor, which is called Direct Torque Control with Direct Calculation of Voltage Vector (DVC-DTC). The method is dependent on the setting of the coefficients referred to as k1 and k2, so the aim of this contribution is to show how their setting affects the behavior of a drive. A DSC-based implementation of this method has been developed using a modern control system with the TMS320F28335 digital signal controller from Texas Instruments. The first part of this paper includes a theoretical description of the method. The second part describes the courses of the most important quantities, which were measured for different settings of the weighting coefficients. The experimental results were obtained by measuring a real drive in laboratory conditions. This paper was supported by the projects: Center for Intelligent Drives and Advanced Machine Control (CIDAM) project, Reg. No. TE02000103, funded by the Technology Agency of the Czech Republic and Project Reg. No. SP2018/162 funded by the Student Grant Competition of VSB – Technical University of Ostrava.